So you brush your teeth and floss every day—that’s great! But that’s not all you can do to improve your dental health. It’s also about what you eat. Read on to discover which foods are the best to eat for a healthy mouth. The best food for your dental health isn’t really a food at all— it’s a drink! 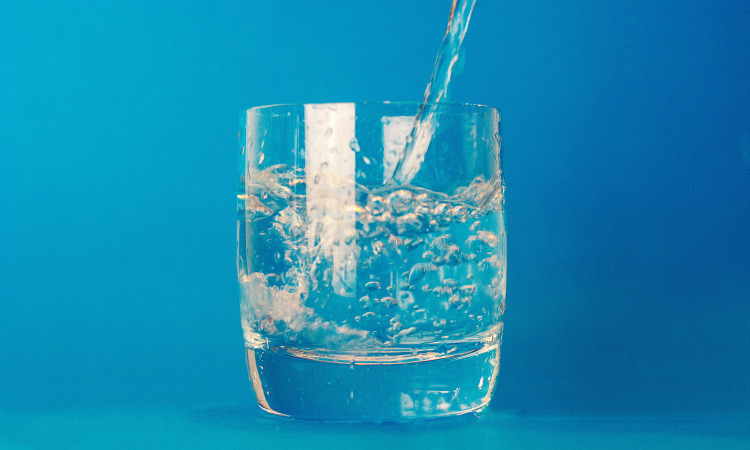 Drinking water and keeping yourself hydrated is hands down the best thing you can do for your dental health, according to the American Dental Association. Double check that your tap water is fluorinated, and if it’s not, use fluorinated toothpaste or mouthwash to give your teeth the protection they deserve. Dairy foods are rich in protein and calcium, which gives your teeth the nutrients they need to stay strong and healthy. This is especially important for young children whose teeth are still developing, but it remains true for everyone. Grab a yogurt or some string cheese next time the munchies hit. Celery might not be anyone’s favorite food, but it’s the MVP of snacks as far as your teeth are concerned. Celery acts as nature’s toothbrush, and forces your mouth to produce saliva, which neutralizes bad bacteria. It’s also an abrasive food, which gives your mouth a good scrubbing, much like a toothbrush. Nuts are great for your dental and overall health for many reasons. They’re low in carbs and sugar, and therefore have a lower risk of producing cavities. They contain lots of minerals, and chewing on nuts stimulates saliva production. Eat a handful of nuts every day to take advantage of their impressive nutritional benefits. Sweet potatoes are having their moment in the spotlight. High in vitamin C, which assists with tooth enamel formation, these delicious starchy vegetables can help contribute to a happy, healthy mouth. If you’d like to improve your diet and make sure the foods you eat are benefiting your dental health, contact our team. We’d love to speak with you!